The battery-operated Wheel lifter mod. WL40A has been designed for a safe and easy handling of wheels for cars and light industrial vehicles. 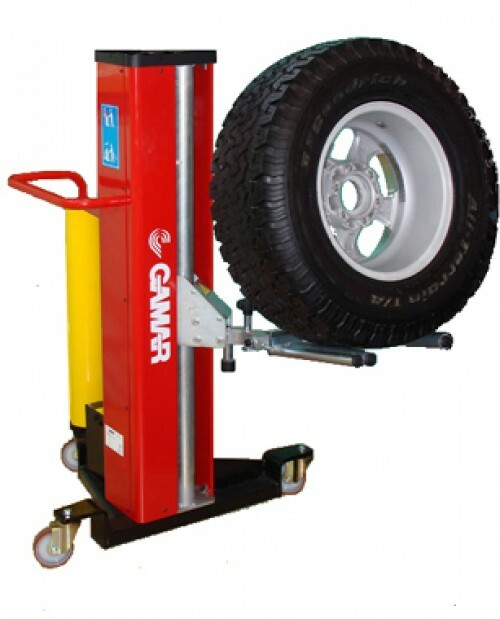 Especially used to handle the wheels when the car is on a lifting platform, thus avoiding any effort to the operator.